Generics can save you money. Most commonly, attention deficit hyperactivity disorder (ADHD) is diagnosed in children and this condition often persists through adolescence and later adulthood. The medications that are most commonly prescribed to treat ADHD are stimulants, though non-stimulants are available as well. While many are brand-name drugs, lower-cost generic alternatives may be more affordable—if they're not already required by your insurance provider. Children with ADHD fall into three categories: primarily hyperactive-impulsive, primarily inattentive, or a combination of the two. Although some people with ADHD "outgrow" the disease, it's estimated that as many as 80 percent of people carry the condition through adulthood. Adults with ADHD are by and large not hyperactive and instead inattentive. Of note, the XR, ER, and LR designations indicate extended-release preparations. Furthermore, Ritalin SR is a controlled release form of Ritalin. The majority of these medications can be purchased as generics and that name is in parenthesis. Brand-name drugs are expensive. Generic medications are low-cost alternatives that, for most people, work just as well as brand-name drugs. For example, a report from the Agency for Healthcare Research and Quality compares a 10 mg tablet of Adderall with the generic equivalent at a cost difference of $113 per month to $45 per month. Of course, these costs can vary over time and be dependent on your pharmacy and insurance coverage. This single comparison does not reflect the potential savings for every generic medication, either. In many instances, though, switching to such generic medications can save you hundreds or thousands of dollars on ADHD treatment each year. Furthermore, as compared with generic equivalents, it can cost several times more to purchase extended-release preparations. Although it may be more convenient to take extended-release iterations because fewer doses are needed, you may be able to save lots of money by switching to shorter-acting alternatives. Some people are concerned about the effectiveness of generic medications versus brand-name options. Each generic medication goes through the same level of scrutiny and approval process by the U.S. Food & Drug Administration (FDA). 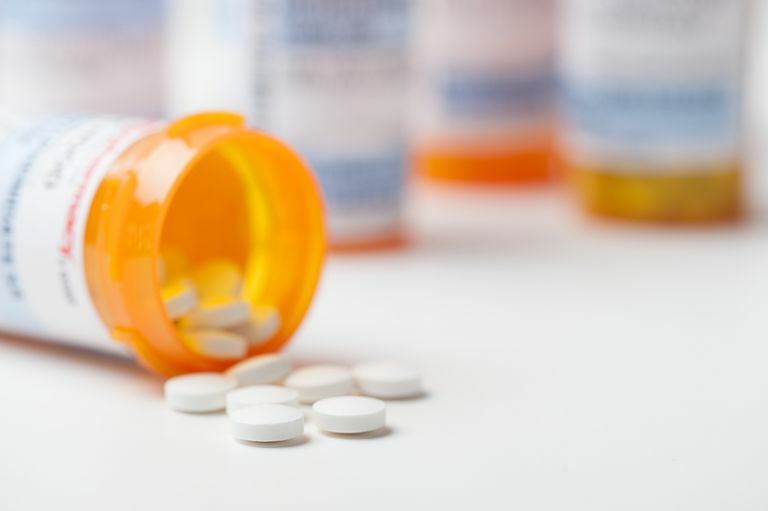 The FDA states that "a generic medicine works in the same way and provides the same clinical benefit as its brand-name version." In order to be approved for use, it has to have the same safety, strength, quality, performance, and intended use. However, just as switching from any medication to another, some people will not have the same reaction to a generic drug as they would to the brand-name equivalent (and vice versa). Whenever you and your doctor decide to change to a different medication, it's important that you monitor yourself or your child for any changes. Bring up anything — including side effects — you notice to your doctor so he can make adjustments as needed. This may include a dosage change or trying a different medication until you find the right one for you. ADHD is a very individual condition and requires individualized treatments. If you're having trouble paying for ADHD medications, inform the prescribing physician and ask about generic alternatives. The physician can offer you options and alternatives that may lower the cost of ADHD medications. For example, CVS/Caremark — like many other large pharmacy retailers — offers a value formulary which can be prescribed for less cost. Moreover, patient assistance programs are also available in many communities and can subsidize the cost of treatment. The use of stimulants to treat adults with ADHD is poorly understood. Despite accounts of stimulants working in adults, concerns about the efficacy and safety of stimulant use in this population cloud the picture. Specifically, some research suggests that adults with ADHD who take stimulants are at increased risk for palpitations, anxiety, and increases in blood pressure. Treating ADHD with medications often requires patience and open conversations with your doctor. If you have concerns over the cost of medications, bring these up during your appointments, along with any questions you have about side effects. By working together, you can find a treatment that will help. John M. Eisenberg Center for Clinical Decisions and Communications Science. Treatment Options for ADHD in Children and Teens. Agency for Healthcare Research and Quality (US). 2012. Ropper AH, Samuels MA, Klein JP. Chapter 28. Normal Development and Deviations in Development of the Nervous System. In: Ropper AH, Samuels MA, Klein JP. eds. Adams & Victor's Principles of Neurology, 10 ed. New York, NY: McGraw-Hill; 2014. Searight H, Shinabarger C. Attention Deficit Hyperactivity Disorder. In: Feldman MD, Christensen JF, Satterfield JM. eds. Behavioral Medicine: A Guide for Clinical Practice, 4e. New York, NY: McGraw-Hill; 2014. U.S. Food & Drug Administration. Generic Drugs: Questions & Answers. 2018. Would Taking Vyvanse and Adderall Be Best for Your ADHD?